12 Life Lessons From A Man Who’s Seen 12,000 Deaths! 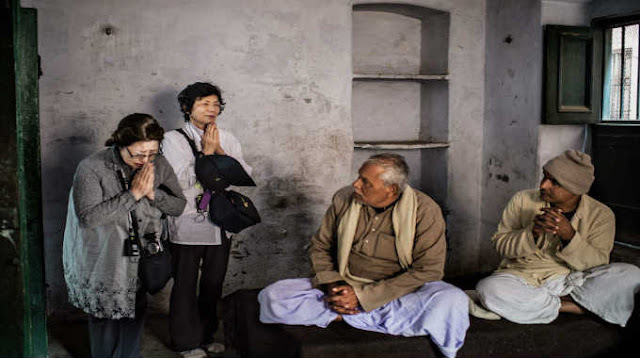 Rooted in the hearts of many Hindus is the belief that if you breathe your last breath in Kashi (Varanasi) you attain ‘the fruit of Kashi’— “release from the cycle of rebirth impelled by the law of karma”. 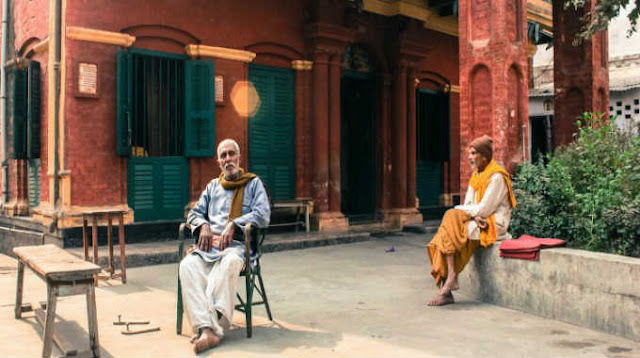 Kashi Labh Mukti Bhawan in Varanasi is one of the three guesthouses in the city where people check in to die. Bhairav Nath Shukla has been the Manager of Mukti Bhawan for 44 years. He has seen the rich and the poor take refuge in the guesthouse in their final days as they await death and hope to find peace. Bhairav hopes with and for them. He sits on the wooden bench in the courtyard, against the red brick wall and hears the lessons and regrets of these people. Bhairav recounts the story of Shri Ram Sagar Mishr, a Sanskrit scholar of his times. Mishr was the eldest of six brothers and was closest to the youngest one. Years ago an ugly argument between the two brothers led to a wall to partition the house. 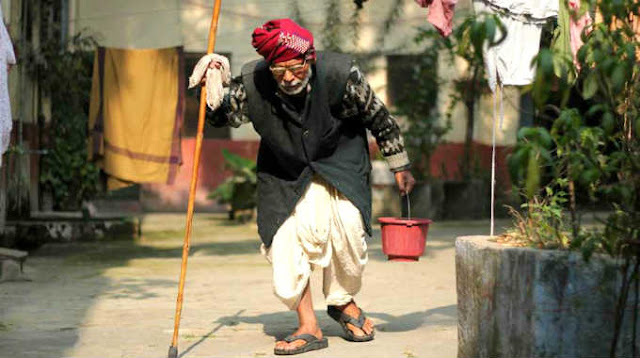 In his final days, Mishr walked to the guesthouse. He was sure he will pass away on the 16th day from his arrival. Bhairav has seen this story replay in many forms over the years. “People carry so much baggage, unnecessarily, all through their life only wanting to drop it at the very end of their journey. The trick lies not in not having conflicts but in resolving them as soon as one can,” says Bhairav. “People stop eating indulgent food when they know they are going to go. The understanding that dawns on many people in their final days is that they should’ve lived a simple life. They regret that the most,” says Bhairav. A simple life, as he explains, can be attained by spending less. We spend more to accumulate more and thus create more need. Bhairav has seen that every person has shades of good and bad. Instead of dismissing “bad” people outrightly, we must seek out their good qualities. That’s how you’ll help them realize their good side. Harboring bitterness for certain people comes from concentrating on their negatives. If you focus on the good qualities though, you spend that time getting to know them better or, maybe even, loving them. To know and do everything by yourself might feel empowering but it limits one from using what others have learnt. Bhairav believes we must help others, but more importantly, have the courage to seek help when we’re in need. Every person in the world knows something more than us in some respect. And their knowledge can help us, but only if we’re open to it. And when they get old, they realize that those “small” things are the real gifts of life, and they regret missing on so much of them. Most people shirk away from accepting what they are going through. This constant denial breeds in them emotions that are highly dangerous. Only when you accept your situation you become free to decide what to do about it. Indifference, avoidance, and denial of a certain truth, Bhairav believes, cause anxiety; people develop a fear of that thing. Instead, accept the situation so you are free to think what you want to do about it and how. Acceptance will liberate you and empower you. The secret to Bhairav’s unfazed dedication towards his demanding job can be understood via this life lesson. He admits that life would’ve been difficult if he treated people who admit themselves differently, based on their caste, creed, color, and social or economic status. “The day you treat everyone the same is the day you breathe light and worry less about who might feel offended or not. Make your job easier,” he says. A lot of people, Bhairav says, know their purpose but don’t do anything about it. Simply sitting on it is worse than not having a calling in the first place. Having a perspective towards your purpose will help you measure the time and effort you need to dedicate to it, while you’re caught up in what you think you can’t let go or escape. Take action on what truly matters. That’s what keeps the fire burning deep inside you! Building good habits happens over time, with practice. And those habits, over time, become values. Bhairav recommends cultivating good habits to be able to house good values. Till one doesn’t consistently work towards being just, or kind, or truthful, or honest, or compassionate, every single time he is challenged, one cannot expect to have attained that quality. In the vastness of the infinite amount of knowledge available to us it is easy to get lost and confused. “The key lesson here is to be mindful of choosing what you deeply feel will be of value to you,” he says. People might impose subjects and philosophies on you because it interests them, and while you must acknowledge their suggestions, the wise thing to do is delve deeper into what rejoices your own heart and mind. You can seldom distance yourself from people you have truly loved or connected with in some way. However, in any relationship, there is a certain mismatch of ideologies that might cause people to stop communicating. This never means you are no longer associated with that person. It simply means that you don’t associate with a dominant thought that person brings with him/her, and to avoid more conflict you move away. This is why we still love some people who we broke up with so long ago, even though we cannot understand why. The divorce, Bhairav affirms, is with the thought and never with the person. To understand that is to unburden yourself from being bitter and revengeful. Bhairav doesn’t define Dharma as something religious or spiritual. Instead, he says it is associated with doing good for others and feeling responsible about that. A simple calculation according to him is to keep 10 percent of your income for goodwill. Many people donate or do charitable acts towards the end of their life because death is hard on them. In their suffering, they begin to empathize with others’ suffering. He says those who have the companionship of loved ones, the blessings of unknown strangers, and an all-encompassing goodwill of people, exit peacefully and gracefully. That is possible when you don’t cling on to everything you have, and leave some part of it for others.